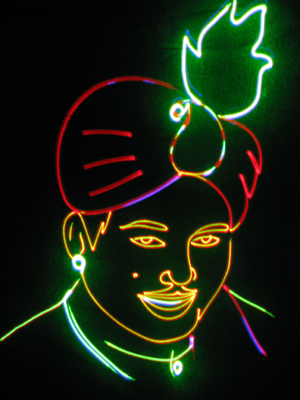 3D Laser Sorcery Tribute to Sorcar Sr. When the legend of PC Sorcar turns 100 in two years, he’ll walk in 3D. That’s the promise of his eldest son Manick, who’s working on a spectacular multimedia show as a tribute to the magician who put Indian magic on the global map. Manick, a lighting design wizard based in Denver, Colorado, will harness the magic of laser in his enterprise. Manick said his father was the one who encouraged him to work on the lighting and art of his magic shows, which kindled the fire to combine art with science, “which eventually led to all that I do”. If on one hand, Manick designs the light for venues across the world like the palace of Prince HRH Faisal Bin Sultan in Saudi Arabia, Shinurayasu and Musashi-Koshugi sport centres in Japan and the Denver International Airport, on the other he is an acclaimed animator. With laser animation, he gets to combine his twin passions — art and lighting technology. Sorcar is in Calcutta to present a public laser show in Salt Lake over the fourth weekend of October but he will stay on to oversee the start of a course on laser animation as a part of illumination engineering at Jadavpur University (as reported earlier in Metro).